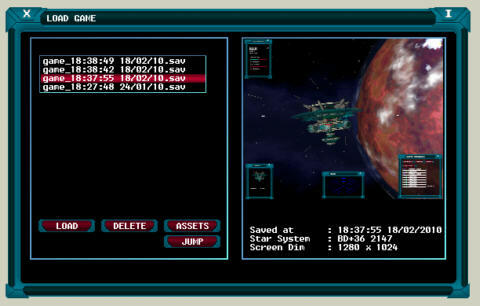 The game can be saved at any time by pressing the ‘F12’ function key which will automatically create a suitable identification based upon a timestamp, screen dump and name of the current star system. The illustration above shows the structure of the ‘load’ menu which can be accessed from the main options window. The time is based on the 24 hour clock and the data adopts the standard UK format of ‘day/month/year’. 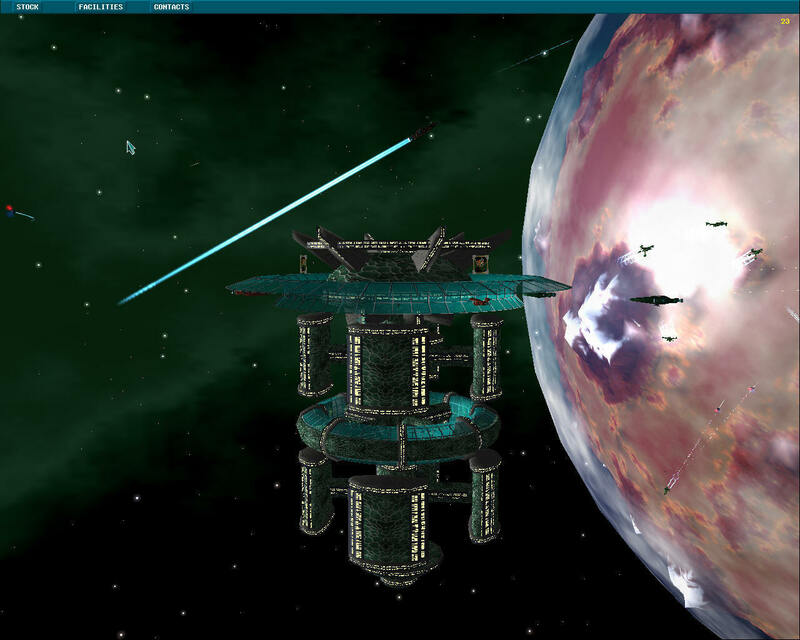 A screen dump of the selected file appears on the right of the screen. If a file is deleted then it is moved into the ‘Recycle Bin’ so that it can be restored if a mistake has been made. The ‘Recycle Bin’ can also be accessed from the main options menu and it should be purged periodically to prevent the Hard Disc from filling up. If the game fails to save then a visual notification shall be posted.